C-1-250-R is a stock item. > Small bracket but strong. > Durable and can be finished to spec. 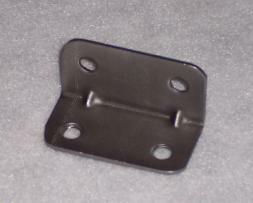 C-1-250-R is a strong corner brace. With strength grooves this brace is very strong for a 16 Gauge (1/16”) part. This item is a very good seller and can be finished to customers desired look. If this item does not quite meet your needs we have several different sizes to choose from. If you have any questions about this item please feel free to give us a call.